Q: What is the most common first name of social studies teachers throughout Kansas? We all know the old cliche that social studies is the content discipline for those educators who don’t want to teach PE but also don’t want to teach a “real” subject like science or math. We can imagine their idea of a perfect lesson: assigning students text to read out of the book, followed by a worksheet of basic, low-level questions, and ending with a full-length movie while they plan their next practice. We expect them to play favorites with their specific athletes and put all of their intellectual time and effort into their respective sport. I’m not convinced the cliche is entirely accurate. Perhaps I was fortunate during my time at the University of Kansas where my core group of prospective social studies teachers took a relatively strong interest in the content area we were studying. Some of us were coaches, some of us were not. Yet nearly all of us were able to engage in thoughtful debate covering a wide range of serious, intellectually stimulating topics. So I did not really face the coaching cliché until two summers ago. I was taken aback by this blatant disrespect toward my chosen profession. I proudly answered that I coached both football and track and relished the opportunity to positively impact students both in the classroom and on the playing field. After further reflection on this encounter, I came to the conclusion that I was not a coach who taught or a teacher who coached. I was simply an educator, and that each of these aspects of my job greatly complimented and helped to develop the other. I can firmly state that I would not be the caliber of teacher I am today without my experiences as a coach. Coaches focus on skill development with their athletes. They develop drills and activities that isolate specific aspects of that skill and provide a scaffolding approach to achieving improvement and eventually mastery. They provide practical feedback throughout that learning process. Their attention to detail is incredible, and their ability to break down complex tasks and concepts into very manageable chunks for their students is the hallmark of every successful coach and program. This ability to develop knowledge and skills is what all successful teachers do in the classroom, regardless of their content area. Are there those coaches who are in the profession strictly because of their interest in sports and use their classroom responsibilities as a vehicle for holding their coaching position? Absolutely. But we all have also worked with teachers, without coaching or extracurricular responsibilities, who are simply running out the clock till they hit that magic retirement number. I am preparing to begin my fifth year in the profession and I have coached two sports for each of those years. In my indoor classroom, I coach my students in how to effectively formulate arguments during our discussion of complex social and global issues in Civics class. In my outdoor classroom, I teach my athletes the nuances of the 4-2-5 defense including how an inside linebacker should align and react to plays correctly. They are two sides to the same coin and I am proud to impact the lives of students in both arenas. It’s time we put to bed that old cliché and take pride in our roles as educators no matter what our extracurricular activities might be. I coach the same thing I teach; kids. Great article Scott. I spent 25 years coaching and I am sure that I had more impact on the lives of my students on the field than in the classroom. I always believed myself to be a good teacher and an okay coach, but nothing contributed more to the post high school success of my students than the lessons they learned on the field. Most of the really important lessons in life are learned at school, in the halls, lunchrooms, fields, courts, concert halls, gyms, and auditoriums. 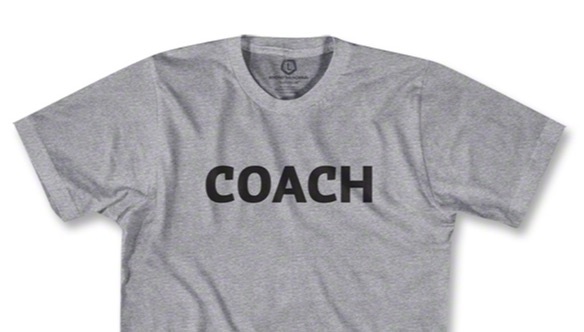 A great coach is a great teacher that is the way it has to be.